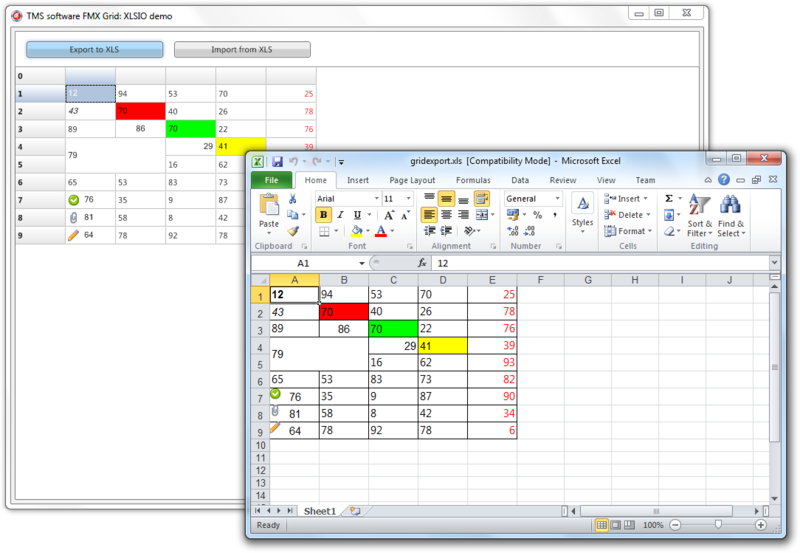 The XLS IO demo demonstrates exporting to and importing from an Excel compatible format. When clicking on the Export to XLS button, the grid is exported and the xls file is automatically opened if Excel is available. Note that for opening the file, the XOpenFile procedure is used that is located in the unit FMX.TMSXUtil which is compatible with all supported platforms which can handle file manipulation.